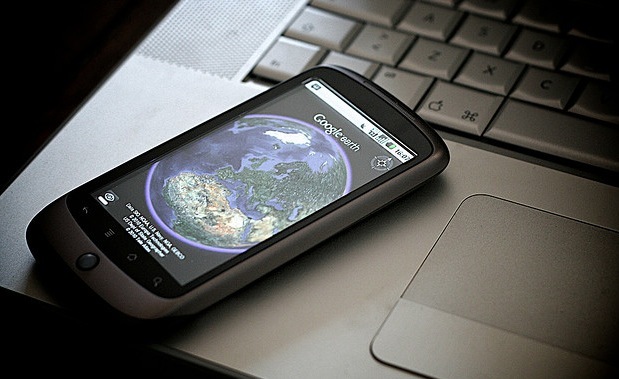 Google has released a version 6.2 update for its Google Earth app on iOS and Android devices. The update brings a bunch of new features to the mobile version of the popular mapping app. Among those is the ability to import a KML mapping file right into the app, simply by tapping a link on the web from your device. These ‘Google Earth’ files allow people to distribute custom maps with specific data points, trails and routes. Should be a great way for hikers, bikers and geocachers to share their favorite maps. 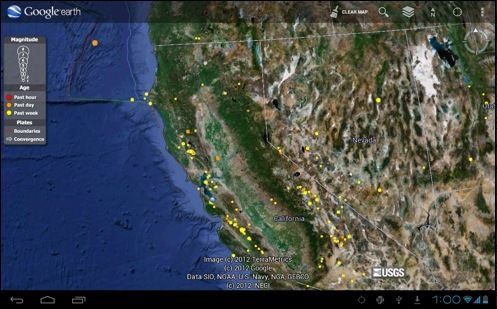 Along with KML imports, the new iOS and Android apps have both received support for the Google Earth Gallery, a repository of maps that highlight interesting data like real-time earthquake info from the USGS, or the best hiking paths, or even a map of the College Basketball Tournament events. On Android only, Google has also added the ability to share screenshots of your current map via Gmail and Google+. These are collated on the Google Earth +Page, which was fired up after Google added support for its social network to the desktop version of Google Earth in January. You can grab the update from the Google Play market now if you’re an Android user, the iOS version should be up in the App Store soon.